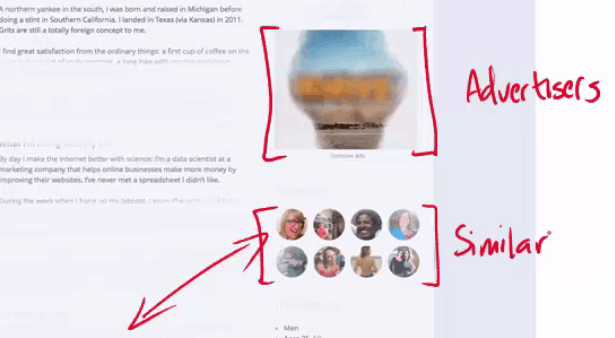 Brian Massey does a live markup of an OK Cupid dating profile using the same criteria that he uses when critiquing a business landing page. 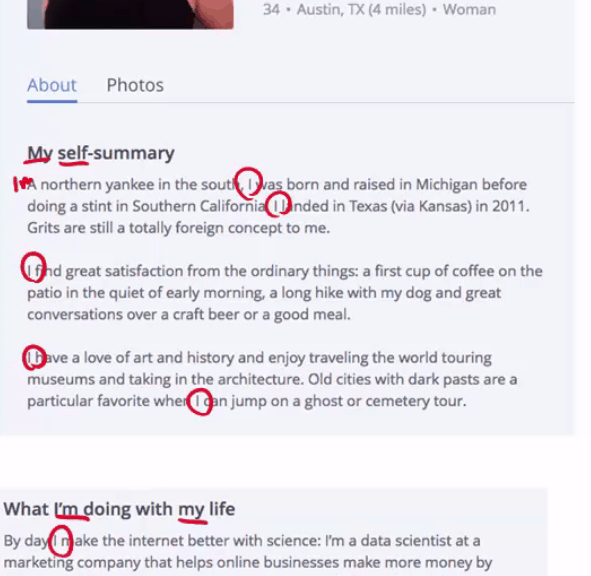 Conversion Sciences employee Megan Hoover has agreed to be the test subject, using conversion optimization techniques on her dating profile. There are five key takeaways that you should consider on your landing pages. How often do you mention your company or your product names? Add to the that number of times you say “we”, “us”, “our”, etc. Have you forgotten your reader? Are you talking about yourself or what you have to offer the reader? In the video, we transform the sentence “(I’m) a northern yankee in the south…” to “Northern Yankees are known for having warm hearts.” Both communicate the same thing, but one does so and states why this is a good thing. Much of your copy is invisible to scanners. Scanners won’t see most of your copy without help. Help them out by using things to keep their wandering eyes on track. Don’t over-do it, but help a scanner out. 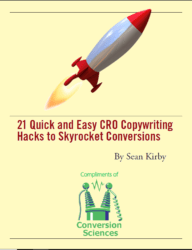 If you’re asking the visitor to take action at only the top and bottom of a long page, you may be missing key conversions. Repeat the call to action with each relevant proof point or section. Use images to explain your value proposition but don’t leave the meaning to your reader’s imagination. Use captions to explain the point of your images. Use captions and in-image text to spell out what they should take from each image. Landing pages have one goal. Focus on that goal and resist irrelevant distractions, such as social media icons, newsletter signups and links to other parts of the site. 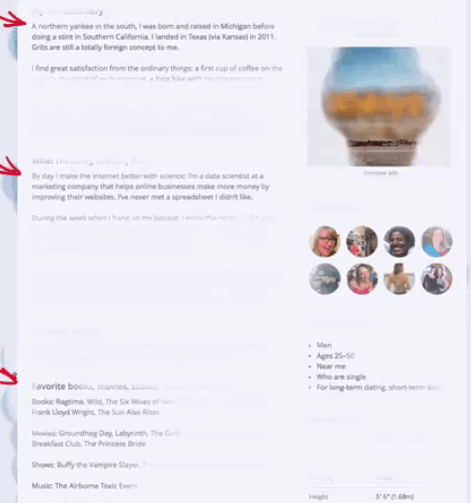 Distractions and irrelevant links work against your landing page. These are solid practices when designing a landing page, and should apply to a dating profile as well. Readers are people. Our next step is to modify Megan’s dating profile based on my suggestions and see if we get a higher conversion rate.